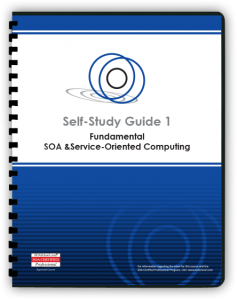 This course provides a well-rounded, end-to-end overview of service-oriented computing, service-orientation and SOA. Attendees benefit from this fundamental coverage by gaining an understanding of common terms, concepts and important industry developments. 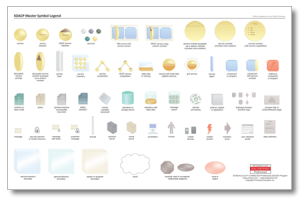 Below are the base materials provided to public and private workshop participants. Some public and private workshops offer promotions whereby participants receive entire Self-Study Kits for attending workshops, or are offered discounts for the purchase of Self-Study Kits and/or Pearson VUE exam vouchers. This course can be completed via self-study by purchasing a Self-Study Kit, which includes the base course materials as well as additional supplements and resources designed for self-paced study and exam preparation. 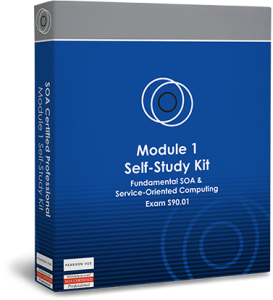 Visit the SOACP Module 1 Self-Study Kit page for pricing information and details. 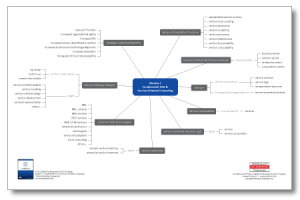 Also, visit the Self-Study Kits Overview page for information regarding discounted Certification Self-Study Kit Bundles for individual certification tracks. Note that any required text book(s) for this course are not included as part of the Self-Study Kit and need to be purchased separately. Also, this Self-Study Kit can be purchased with or without a discounted Pearson VUE voucher for Exam S90.01A. Self-Study Kits and Bundles and associated text books can be purchased using the online store. By purchasing and registering this Self-Study Kit, you may be eligible for discounts on the registration of this course as part of a public workshop. 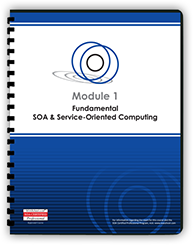 This SOACP course module covers a range of in-depth topics that are described in the course booklet and further elaborated by more detailed coverage in the associated Next Generation SOA: A Concise Introduction to Service Technology & Service-Orientation text book from the acclaimed Prentice Hall Service Technology Series from Thomas Erl. Download a printable PDF document with information about this course module and its corresponding Self-Study Kit.